"I highly recommend Reverend Doug Klukken and his team members. I come from a Catholic family; my husband's family is Nazarene. We are both spiritual, but not overly religious. We wanted someone who could combine our family's wishes for a traditional marriage with our modern ideas of a ceremony. Rev. Klukken - or Doug, as I have come to know him--and Alexandria, the wedding concierge, were instrumental in making our dreams come true. The team made the planning process a breeze from the initial meeting. Everything was explained in detail, so I didn't have any more stress on my plate. Alexandria was easy to get ahold of, and returned my messages and phone calls in a prompt manner. She was a professional. The team made my husband and I feel special. Doug listened to what we wanted for our ceremony and made great suggestions on how to incorporate different themes and ideas throughout. I have and will recommend this highly passionate and responsive team to anyone who wants their wedding to be unique, special, and full of love. I received so many compliments from our guests on the meaningful and joyous ceremony. Both sides of the family were happy with the personalized ceremony. It was definitely the way we wanted to start our marriage." Dana and Nik smile as Rev. Doug Klukken performs their wedding ceremony at their Valparaiso home. 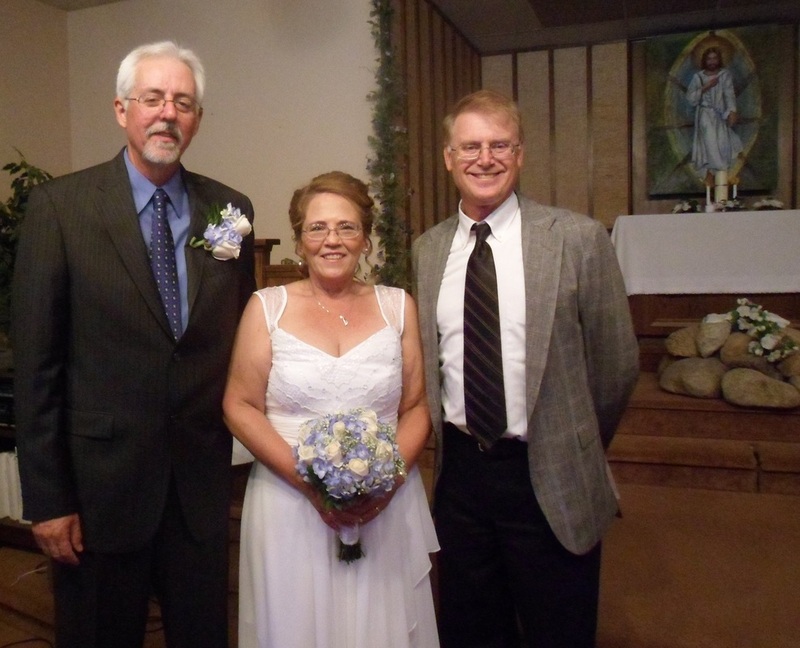 "Rev Doug Klukken did such a fabulous job officiating our wedding. He was recommended by a friend, and he and his wife and Alexandria were all so nice, and helpful. We had the opportunity to get married at our home on our deck, and it was such a beautiful day. Although we had never met him, it seemed like we had known him forever. He made the ceremony personal, spiritual, and laid back. We couldn't have asked for a better day or ceremony!!! Thank you Rev Doug Klukken!!" "I cannot say enough good things about Rev Doug, Alexandria and The Free Spirit Church. They made our wedding day so beautiful, fun and relaxing. They handled everything, provided us with direction and made the entire ceremony such a wonderful memory. Alexandria is extremely helpful, responsive and an amazing help with planning and Rev Doug just made the ceremony such a blast that I am still receiving compliments on how much fun our ceremony was. 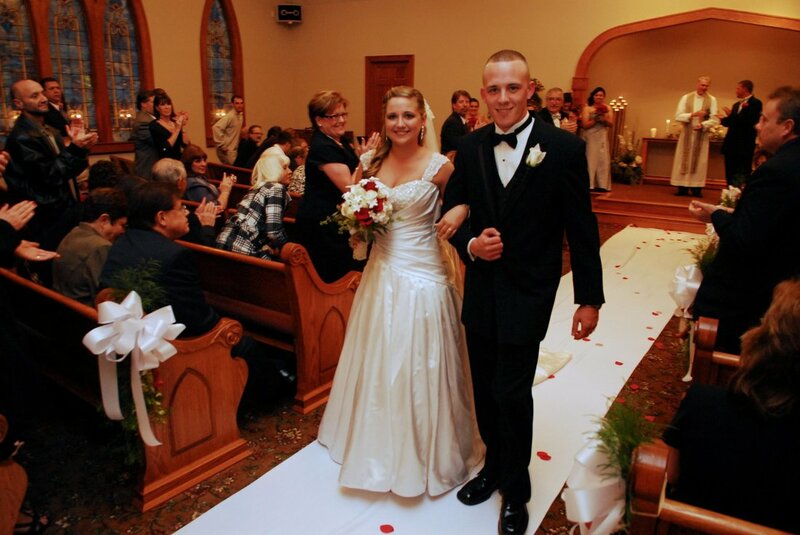 I could not ask for a better team to assist with our wedding." "Rev. Klukken was recommended to me by The Way as a preferred officiant. I was looking for someone who could make our ceremony as unique as us. We were able to meet prior to the wedding and discuss the format, tailor the religious/spiritual level, and include customized vows. Rev. Klukken did a nice job offering up suggestions and helping me design our ceremony. I really loved how he presented us on the stage of our venue which allowed us to view our guests rather than having them see our backs the entire time. He had a wonderful presence and was very genuine. There was a nice balance of touching moments, smiles and laughter. I am so happy that we chose him to perform our ceremony… it was truly unique and memorable! Thank you, Rev. Klukken for a fabulous wedding that we will never forget!" "Rev. Doug Klukken was great. Of course, it's really hard to put into words how great he was. My wife and I met with him and his staff a few weeks before the wedding, during our ceremony planning session, to get a plan on paper (I highly recommend this). There, he talked to us about our relationship and helped us calm down (wedding stress, yeah that's a real thing). Rev. Klukken did a wonderful job keeping the meeting light and relaxing, while being open to our ideas and view for the ceremony. During the wedding rehearsal, he helped us execute our plan. He made sure everyone was comfortable with their roles within the wedding party, and spared no expense at making sure we all laughed and had a great time. Showtime! On the big day, Rev. Klukken was a calming wave in a very hectic moment... Ok, ok, looking back, the whole day felt like a moment... So, more like a very hectic day. He made sure I was standing where I needed to be, and helped guide my wife and I into our new life together. Our ceremony was very personal, because he touched on all points of our relationship (things that we discussed in our meeting). Our guests were entertained by his personal touch and humor. Again, I cannot say enough for what Rev. Doug Klukken did for us, and I know that if you're interested in his services, you will not be disappointed." 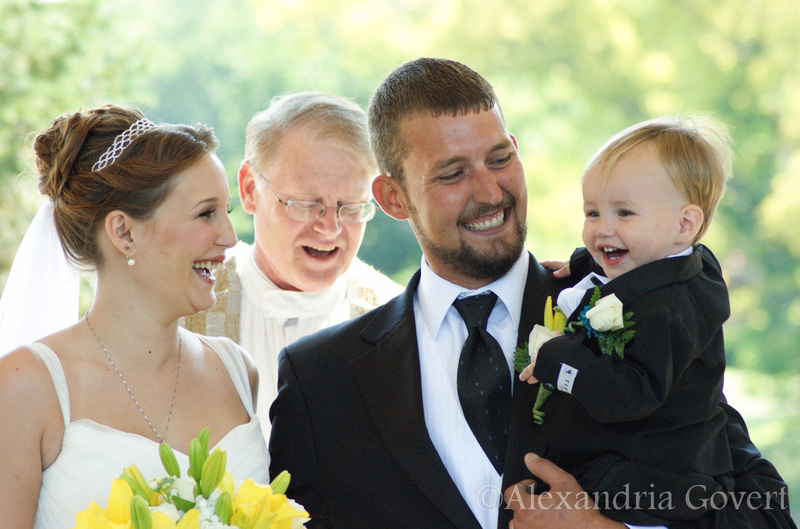 "All of our wedding guests had nothing but great things to say about Reverend Doug! 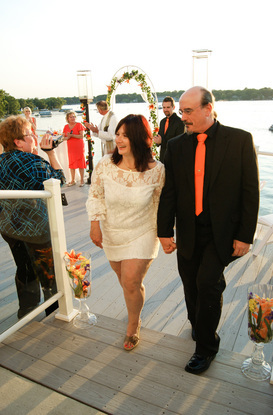 Everyone loved how Doug made our wedding ceremony so loving, personal, and humorous all at the same time." "Everyone at Rev. Doug's office was extremely helpful, professional, and reassuring. I had second thoughts about my original officiant after meeting Rev Doug at a tasting put on by Aberdeen Manor. About a month before our wedding day, I was having some anxiety and having very strong second thoughts about our officiant. I contacted Rev Doug via his website knowing the chance of him being available a month before our date would be slim to none. To my surprise, I was contacted within 10 minutes and by some miracle our wedding day was about the only day he had available for many many months. I couldn't have been any more happier with my decision to use a Rev Doug for our wedding ceremony! He knew exactly how to calm me down. After meeting with him I was confident that our ceremony would be exactly how I wanted it to be. He is very personable, professional, and engaging. Everyone at our ceremony was very impressed with him and I have recommended him to many and will continue to do so. Diana, Angela, and Alexandria are all wonderful as well! Very polite, understanding, and helpful! 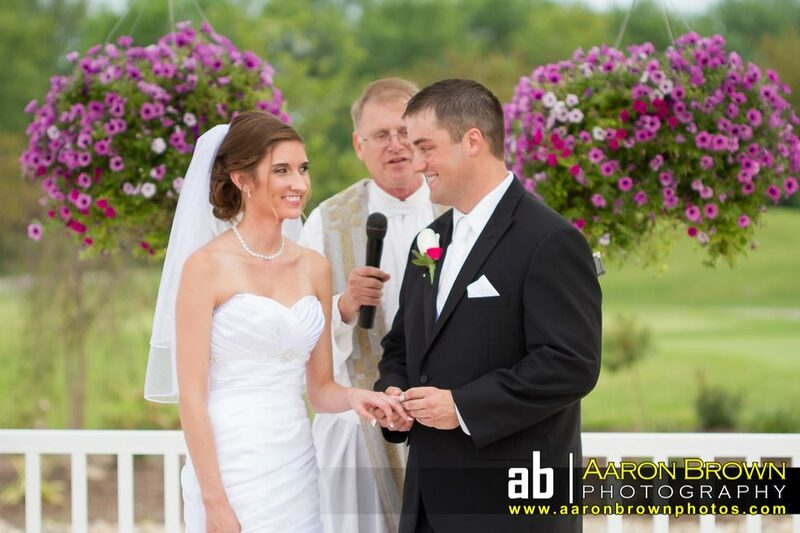 We are 100% satisfied that Reverend Doug was a part of our wedding day!" 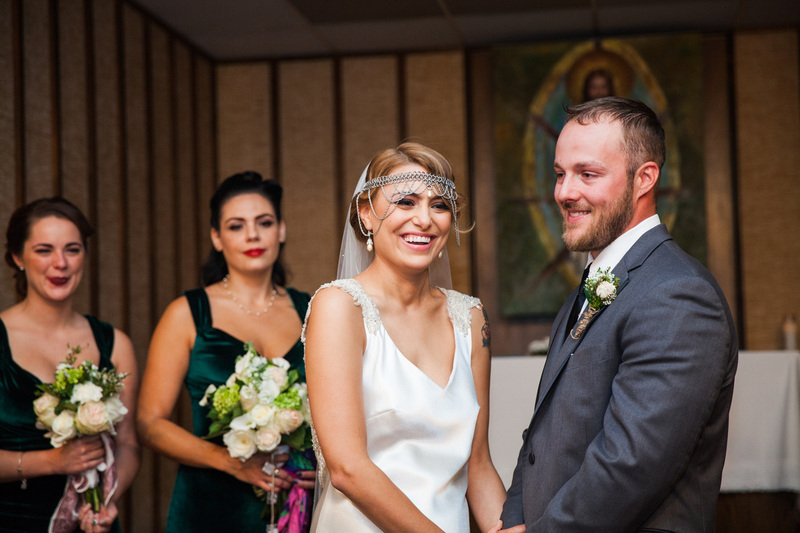 "My husband and I can't say enough good things about our wedding ceremony at the Free Spirit Interfaith Church! It was the perfect setting for our Game of Thrones/Harry Potter winter wedding. Rev. Doug Klukken had our families laughing, tearing up, and smiling from ear to ear with joy. All of our guests said that was the best ceremony they have ever been to and don't think they have ever laughed so much at a wedding ceremony. Even though we didn't know Rev. Doug long, it felt like we knew him for many years, if not our whole life. The way he incorporates details you speak of with him in your pre-planning ceremony is absolutely outstanding! Our ceremony was personal and tailored to us and our families. We loved him and the church! We highly recommend Rev. Doug Klukken and the Free Spirit Interfaith Church." "Rev. Doug made our wedding ceremony very personal and funny! He was extremely easy to work with and his entire staff made everything flow flawlessly!" "Rev. Doug is absolutely amazing! He made our wedding ceremony everything I wanted; it was extremely personal, God centered and even funny! I can not thank him, Rev. Diana and Alexandria enough for all of their help and support through out the entire process!" Northwest Indiana wedding officiant Rev. Doug Klukken cheers as Joe celebrates his first married kiss with Liz! at Avalon Manor, in Merrillville, IN. "Rev. Doug Klukken was a joy to have officiate our wedding. Not only was he professional , but he made us feel very comfortable from our first meeting. He took in all our wants and also contributed many thoughts and ideas to give us one of the most memorable and unique weddings anyone has seen. We had many guests remark about how wonderfully done the ceremony was. We would recommend him to anyone we know that he will do a reliable and fantastic service." 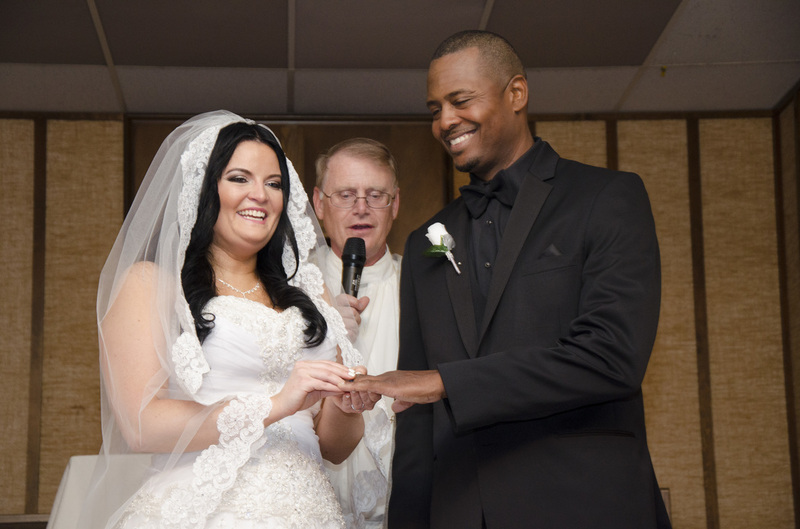 "
"I could not be anymore happy with the services and the chapel and, of course Rev. Doug Klukken. He gave such a beautiful and personal ceremony, it truly made my day that much more special. The staff is amazing and kind to work with and I would highly recommend!" "Rev. Doug was AMAZING !!! I still can not hold back my tears when I think of how wonderful the ceremony was. His words forever touched the hearts of everyone that was present. Thank you so much for the amazing ceremony service you provided !!!" "You invited us to your church, you spent hours learning our story and you made a valued connection with us. On our wedding day, you delivered words that will forever touch my heart and many hearts of those attending. What you did was priceless to me, yet very affordable in terms of the payment. I will forever thank you for doing so well and making it a ceremony that makes me nearly tear up just as I am writing this review." "We got married on Valentine's Day and had about 3 or so weeks to prepare for it. We couldn't find a church we liked and the courthouse was very rude. I happened to stumble upon Rev Klukken on Google and called. I spoke to Alexandria who was wonderful! She was patient, very helpful and when we left we had no doubt that is where we want to get married. The wedding was perfect! Rev Klukken was extremely calming to talk to and again Alexandria was there, we ended up hiring her as our photographer. Our wedding was small and last minute but was perfect! Thank you so much Rev. Klukken and Alexandria! The chapel was a perfect pretty place for our wedding." "What an amazing ceremony! Rev Doug did better than we could have ever hoped or dreamed for. He really made the ceremony special for us and it fit our personalities perfectly! We have received SO many compliments on what a beautiful ceremony. Our guests really appreciated that we faced them (Doug stood in the aisle) during our whole ceremony. 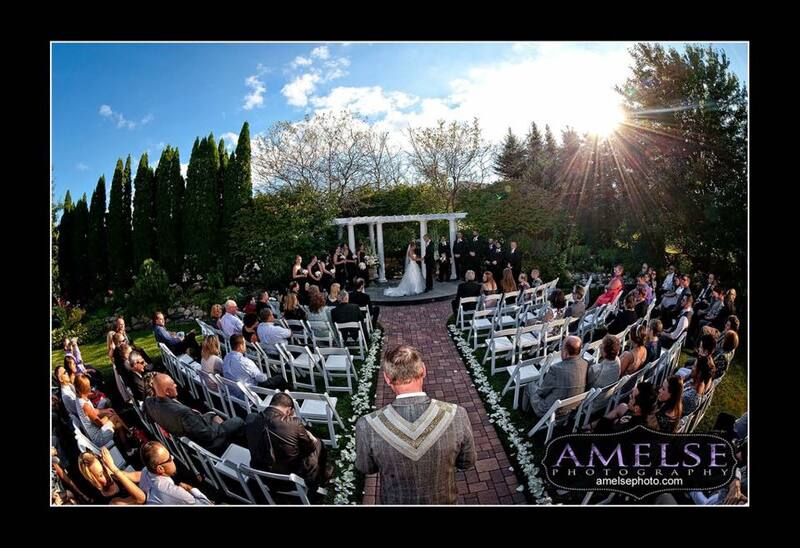 So many of our guests said that it was the 'best ceremony they had ever seen.' I cannot put into words how perfectly it was tailored to us. We were both so nervous during the ceremony and a bit unsure what to do and when. However, Doug walked us through everything and guided us to exactly what we were supposed to do without breaking the flow of the ceremony. We cannot say enough positive things about Doug Klukken!!" "Rev. Doug Klukken did a wonderful job in making our ceremony feel very special and personable I couldn't have ask for better and Alexandria did a great job on capturing all those special moments in being our photographer. They made our special day one we will never forget. Thank You!!!" "Rev. Doug Klukken made our wedding very special. He personalized the ceremony and made us feel very comfortable. Doug and his family were amazing and treated us like we were family. Our wedding was very beautiful and memorable. Alexandria took wonderful pictures of our wedding and did a phenomenal job capturing our special day! We would highly recommend Doug Klukken and the Free Spirit Interfaith Church." "Rev. Doug performed our ceremony this past January and we were thrilled as to how easy it was to plan the ceremony that we wanted. Reverend Doug made it a very personal experience. We are so glad that we chose him to perform it. He absolutely did an amazing job and much thanks again to Alexandria for taking our wedding pictures. We will have a lifetime to cherish them." "Six months ago my husband Jack and I were married by Rev. Doug. He did an amazing job and after the ceremony, I received several compliments on the ceremony. He was able to capture our true personalities and brought it into the ceremony. We had an outdoor ceremony and had several factors to contend with, from trains passing by, to bees flying by our heads, but Doug was able to still take command of the ceremony. He picked up on our personalities and that we love to laugh together. He took this and incorporated it throughout the ceremony, Doug could tell that both my husband and I were nervous and was able to help us throughout the ceremony. However, I think the best sign that Doug was meant to do this, is the fact that six months later, my guests are still raving about the ceremony. Words cannot express how special Doug helped to make our ceremony." "I am a big social media and technology person. So I started my searching for a wedding officiant that was local and would be able to perform something small, and honestly inexpensive for my small group. After a Google search, I stumbled upon Weddings by Rev. Doug Klukken on Facebook. I was impressed by the reviews, and the pictures that were posted on their page. Mind you, this was a last minute wedding and planning was short. I called at the end of December, and we will able to get a date that was available in April. The Rev. Doug Klukken, Rev. Diana and their daughter Alexandria, are just all around great people. After our first meeting I was impressed. On our wedding day, The Rev. described us in our ceremony like he knew us for years, which obviously he just meet us literally a month before our wedding. Our family was impressed with the wedding, and it turned out to be just an awesome day for our blended family. I would recommended them to anyone! Thanks again for sharing our love and happiness, and giving us a great wedding day for memories." "Rev. Doug performed my husband and I's ceremony this last Saturday and we couldn't have asked for anything better. He was absolutely wonderful. We are honored to have met an amazing family. Thank you again. I highly recommend him. We felt so welcome even though we come from different religious backgrounds we were never judged for that. Thank you, thank you, thank you!" "We had an AWESOMELY AMAZING time at our wedding yesterday! LOVE LOVE LOVE you guys! Rev. Doug is so cool and made our ceremony perfect! Alex was our photographer and did such a great job! Highly recommend using her, because she takes awesome shots!!" 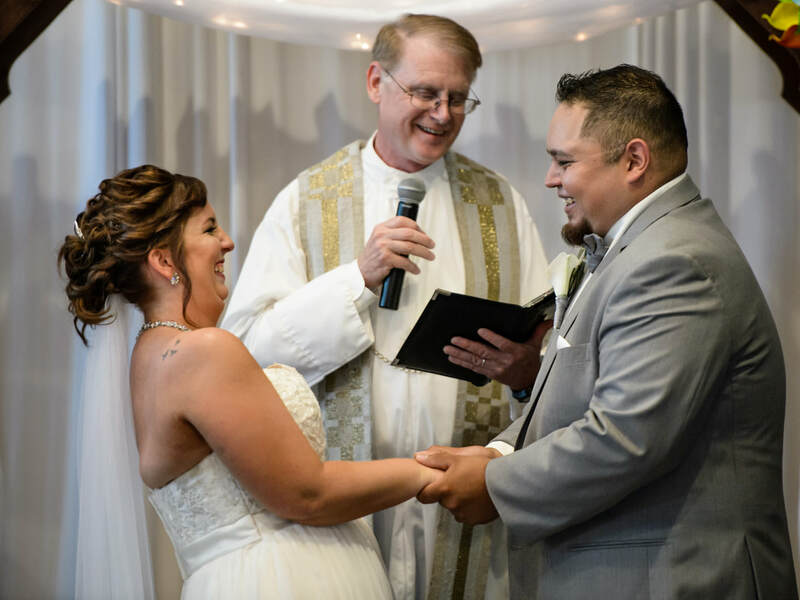 Northwest Indiana wedding officiant, Rev. Doug Klukken, performing Lara and Justin's ceremony at The Allure in LaPorte, Indiana. "Rev. Klukken did a phenomenal job. I had a lot of fun, and "at wedding ceremony." I can think of all the ceremonies I sit there and just think I can't wait for the reception, but he went out of his way to get to know me and my wife Lara. We had a great time and I cannot believe how many people have said that it was the best ceremony they have ever been to. Rev. Klukken meshed with our personalities so well. Even down to his appreciation for the wedding march song "Sweet Child of Mine" by Guns and Roses. I recommend Rev. Klukken to anyone looking to have a genuine and unique ceremony that will be remembered forever. Glad to have him as an important part of our big day." "Rev. Klukken was amazing. He married us July 20th. From the very first meeting with Rev. Klukken, I knew that he was a perfect match for my husband and I. By nature I’m a worrier and he set my mind at ease. He walked us through every step and incorporated everything we desired in the ceremony. At the ceremony he was even better. I was so nervous but he calmed my nerves. 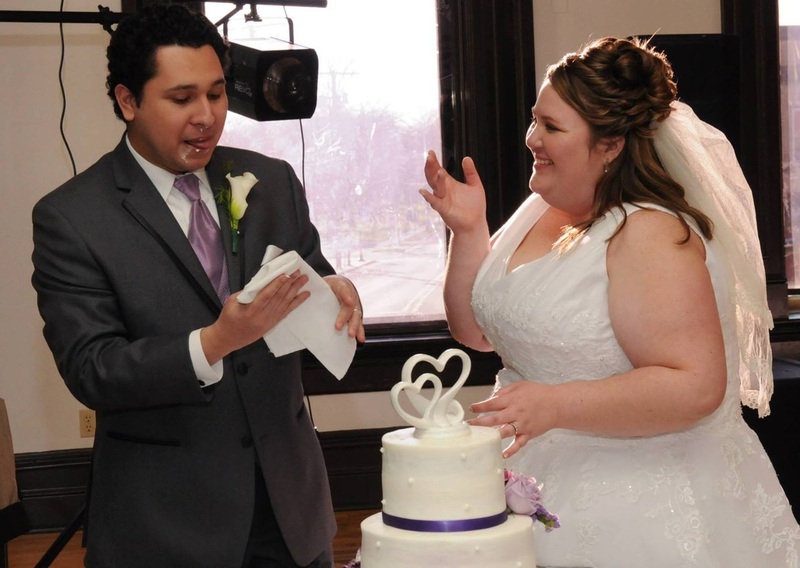 His lightheartedness added a warmth and genuine quality to the ceremony. SEVERAL people came up to us after and said it was the most beautiful and heartfelt ceremony they have ever been to. I especially loved the fact that he stands out in the audience and does the ceremony from the aisle. That way the bride and groom are looking out towards their family and friends. All the other weddings I’ve been to have the bride and groom’s back towards the audience. Rev. Klukken’s way was much better. Our friends and family got to see the emotion on our faces at every turn. I recommend Rev. Klukken whole-heartedly." "I totally agree with Lara, I loved how he had you and Justin face your family and friends. And yes it was the most beautiful wedding ceremony I've ever been to and I've had several people tell me the same thing." "I agree!!!! I even made a comment to Jon about how great he did! It was very natural - he even made me comfortable. I liked him very much!" 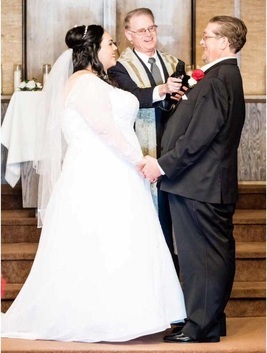 "Reverend Klukken did an absolutely amazing job at our ceremony. He reassured that everything would go smoothly and it certainly did. One less stress to worry about on our wedding day! I loved how he made our wedding so personal by getting into the names of family members and really concentrating on both of our backgrounds and what led us to each other. If you want someone that's very professional & trustworthy I would highly recommend Reverend Klukken. I heard from numerous guests how well he did at our ceremony and how touching it was. His experience definitely shows, awesome job!!!!" "It was a beautiful ceremony!! If I lived in Indiana I would go to his church. He made everyone so welcome." "This was both my fiance' and my second marriage. I was disheartened that my first marriage was already in the Catholic Church and I could not get married again in the church (Catholic Law); however when I found out Rev. Doug was an ordained Catholic Priest my prayers were answered. I could have the spirituality I wanted present when I got married. Rev. Doug Klukken was professional, friendly, and made us feel as though he knew us forever; and most of all we were comfortable. We had a beautiful ceremony that will forever be a beautiful memory for the both of us and our friends and family that were present." Northwest Indiana wedding officiant, Rev. Doug Klukken, with the happy couple, James and Rebecca, after their ceremony at the Free Spirit Church Chapel. Thank you for welcoming us into the church and performing our marriage ceremony. You made the ceremony very special and personal. The church provided the atmosphere we were looking for as we begin our lives together. We will see you soon at Sunday service!" ​"Pastor Doug is amazing. All my guests loved the ceremony. Such an amazing wedding. I wouldn't change a thing. I would do it all over again. Thanks Pastor Doug." "Rev. Doug did an excellent job everyone loved our ceremony. I would highly recommend him to anyone." Just wanted to share with you that many of our guests at our April 20th wedding were raving about you, Rev. Doug! They loved every minute of the ceremony! Many asked where we found you! Thank you so much for the lovely ceremony, we really appreciated it!!" 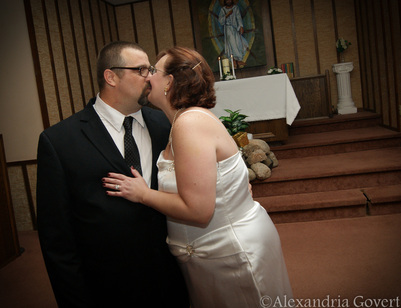 Northwest Indiana wedding officiant, Rev. Doug Klukken performing Christina and Anthony's intimate ceremony at Free Spirit Church. Special thanks to Jackie Novak Photography for the picture. "I really didn't know what to expect, but the experience I had with Rev Doug Klukken and his daughter Alexandria were phenomenal!!!! I had no idea when I was getting married as I had some personal and financial things I had to take care of first. I am off work on Monday's so I knew it would be on a Monday. So I would call and speak with Alexandria and she is just so kind and understanding. I finally picked the day, and there was so few people going to the wedding I really didn't know what to expect. We had no rehearsal because I wasn't really interested in doing a big fancy thing, but when we got there we were guided into the most wonderful and beautiful ceremony. The reverend was so awesome with my two girls and my family, I couldn't have asked for a better day in my life!!!! We felt so comfortable and welcome that we are thinking of coming to some Sunday services, which we really don't do because of personal reasons. Thank you Rev and Alexandria!!!! Your services were wonderful, and I recommend anyone getting married to look you all up!!! Thank you again for the fabulous day!!!" "Thanks for spending your birthday doing our wedding!! I would recommend you to anyone I know getting married. You were fantastic. Thanks again!" Rev. 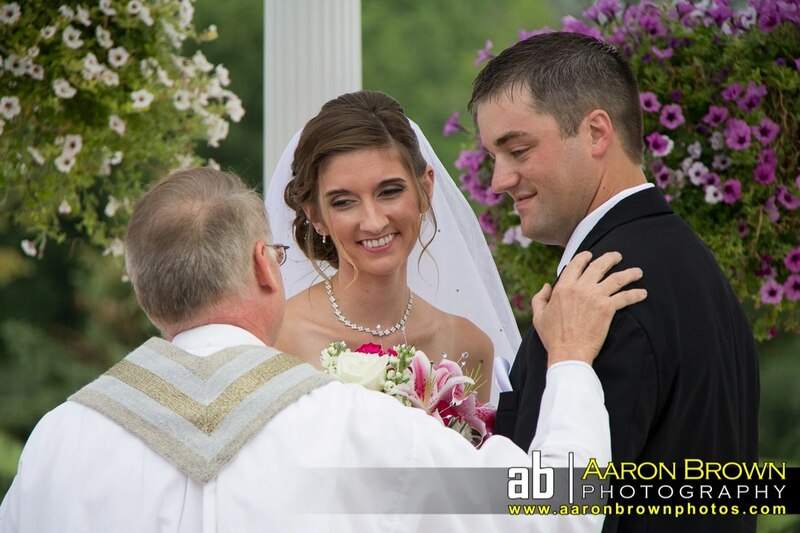 Doug Klukken with Abra and Dan after their beautiful wedding at Halls of St. George, Schererville, Indiana. We really appreciated having you be a part of our special day. Everyone also just absolutely loved our ceremony and had nothing but wonderful things to say about you. Thank you so much again!" "Thank You so much for being part of our special day, Alexandria! It really was the best time of my life. Thank you again for joining us as Mr. & Mrs Brady. You were awesome." "Beautiful, Perfect and Simply the Best. Walking through the doors it felt Heavenly... It was the Perfect Birthday Gift EVER. Thank you. Mr. & Mrs. Clasberry"
"Reverend Doug was one of the most talked about parts of our wedding day. From the beginning, everyone with Free Spirit was so welcoming and inviting. He sat with us prior to our wedding and got to know us as individuals and learned about why we wanted to be married. Our ceremony was so personalized and made all of us laugh (which we hoped for). No matter where you decide to do it, he will do an amazing job. Young and old, everyone loved his style and sincerity. We truly appreciate everything they did to make our day special. The Chapel is so cute and we loved how intimate the whole day felt. Thank you Doug and everyone who helped make it great!" "Rev. Doug was fantastic! Being raised Catholic I had a lot of family members that were surprised we weren’t getting married in the church. Everyone LOVED the ceremony! We got compliments all night from guests! Rev. Doug was a pleasure to work with and we recommend him to everyone!" "Rev. Doug made us feel so comfortable right off the bat. Out first meeting went so smoothly and we both enjoyed speaking with him! Our wedding was amazing! He made it so personal and involved everyone in the ceremony! He was a hit with all of the guests!" "We got so many compliments on how amazing our ceremony was! He made our guests feel as though they were part of the ceremony as well as making my fiancé feel comfortable which was very important to us! We would recommend using his services to all of our family and friends!" "Simply a beautiful wedding ceremony. It was raining and cold and we were supposed to have the ceremony outside. We had to move it inside and everything went so smoothly despite the change. Reverend Klukken made our wedding so very special. He arrived on time and took his place and we found out after the ceremony that one of the couples that was at our wedding had him at their wedding the year before. The ceremony was spiritual to our liking and we even had a few moments of laughter, which helped me overcome my nervousness and lighten the mood, as I lost my mother the month before our wedding. Truly a beautiful ceremony and at a reasonable fee. We are so very happy that we chose Reverend Klukken to commence our wedding." ​"Rev. Klukken was so great for our wedding and the guests loved his thoughtful words! We also loved the pre-marital enrichment sessions and will be returning on a schedule base!" "Rev Doug was absolutely amazing! He made our wedding feel so comfortable and so easy! Thank you so much!" "Absolutely wonderful, beautifully spoken with much character!!! Doug said and did everything perfectly for my wedding day!!!" 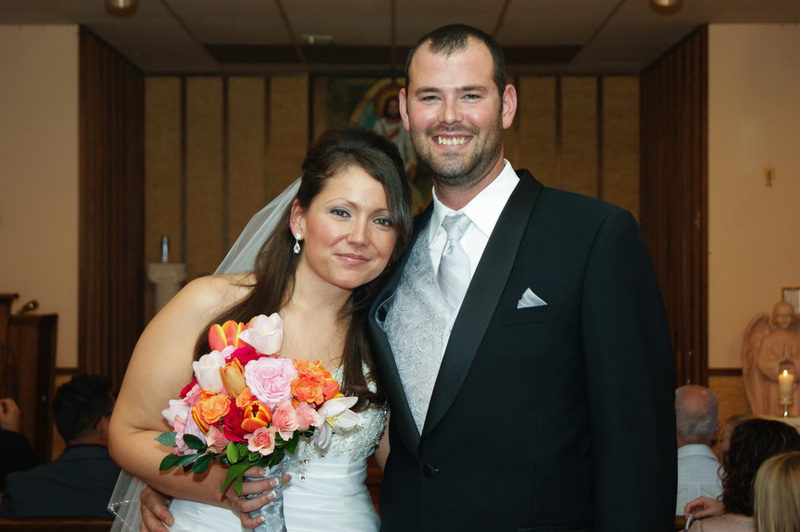 "From the planning process to the big day, Doug made our wedding as easy and fun as it was substantive and beautiful. He gave us the opportunity to shape the content of the ceremony while offering trusted guidance based off his extensive know-how, which has come with many years of experience. Thanks to his ability to officiate with lightness and humor blended with the utmost in sincerity, he made our ceremony by far the best I have attended. Perhaps you may think that, as the groom, I am biased. Perhaps. But I have had numerous attendees come up to me and spontaneously report the exact same sentiment." "I was a wreck on my wedding day! Everything that could go wrong had gone wrong. I ended up being late for my own wedding, and 5 minutes before I arrived, it started pouring, and we had rented the most beautiful garden park. Rev. Doug took charge, and brought everybody under the gazebo (the park would not allow us to put up tents). We had the most beautiful and intimate ceremony ever, and he incorporated my tardiness, the rain, and some humor to make our ceremony one of the best any of my guests had said they had ever attended. From start to finish, he made things stress and worry free, and he really got to know what we were about and who we were during our planning session. Our nerves were put at ease, and we were able to focus on why we were there, to be married! I would recommend him to anyone looking to get married. He really made our wedding beautiful, special and fun and made everything I thought was wrong into something that made my wedding so wonderful! I would give him more than 5 stars if I could!!!!!" 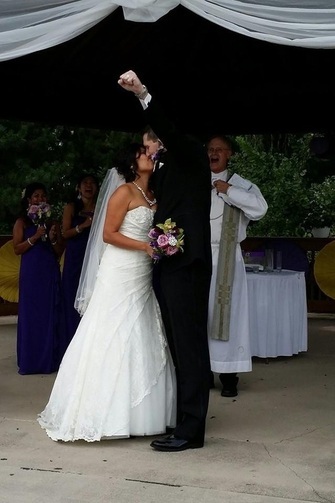 "Everything was perfect at our wedding ceremony and Rev. Doug was awesome. We had so many compliments on the ceremony. We laughed, cried, laughed and cried some more! He really guided us through the ceremony since we did not have a rehearsal. I am so glad we went with this vendor." "Rev. Doug officiated my wedding over 10 years ago at Aberdeen Manor in Valparaiso and the memories of him still bring a smile to my face. At a time when it was very difficult to find a non-denominational priest he was my saving grace. He was personable, professional, and extremely helpful in making sure that my ceremony went exactly how I wanted. He attended my rehearsal and was willing to "practice" with us both inside and outside in case of rain. During our ceremony he had us turn and face our guests rather than them looking at him the whole time. He talked about us as if he had been our priest for years, it was very heart warming. He made sure to have enough religious dialect in our ceremony without being overwhelming to anyone. He laughed with us and made a stressful day perfect. I would HIGHLY recommend Rev. Doug to anyone even after all these years." "I was shocked at how many guests told me, very sincerely, that it was the most beautiful wedding they've been to. Many of them cited specific examples of the ceremony that they just loved. Doug added a very personal touch to our ceremony, and it made the day more meaningful for EVERYONE." Thank you so much for making our wedding everything we dreamed it would be. It was like you had known us forever, and we especially appreciated your flexibility when we had to relocate at the last minute. So many people have complimented the ceremony. Thank you again! God Bless, "
﻿"The whole ceremony was wonderful. Rev. Klukken did an outstanding job and I really enjoyed his sermon. He made our daughter's wedding memorable and special. And Alexandria kept everything flowing and made us feel like we had nothing to worry about. 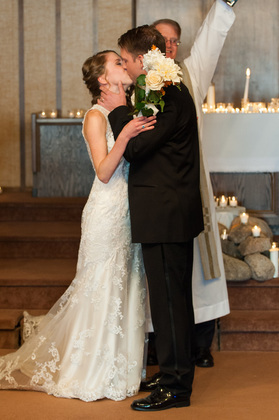 All in all, I am extremely happy Caitlin and Chris had their wedding at the Free Spirit Church." We are appreciative to have had the opportunity to share our 50th anniversary with you. Your guidance, the vows, your inspiring words, kindness, and humor brought us and our family close in the importance of the moment. Not a day has passed that Bob and I don't mention something about how nice our day was. I hope we can be an inspiration to our family to strive for the longevity of a committed relationship. We thank you sincerely"
"Doug is wonderful. My now husband and I had crazy schedules and it was tough to find a day/night to sit down and talk with Doug. He was willing to meet us at night and talked with us for a couple hours (maybe even more!) He understood what we were looking for in a ceremony and he delivered! He also made it very funny and likable! Not at all cut and dry like you see at some weddings where half of your guests are falling asleep! You definitely did not fall asleep through this ceremony, he had EVERYONE laughing. Always professional, kind and pleasant. Even when I had 'Bride Brain' and forgot the Marriage License to sign, he told me I could bring it by to him in the next few days for him to sign, no problem. We cannot say enough good things about him." Thank you for the most beautiful wedding ceremony. You created a memorable day for us to begin our life together. We were touched by your kind words and blessings. You also took the pressure off us and we felt very comfortable in your care and direction. Our family and friends enjoyed meeting you and we have received so many compliments on what a beautiful ceremony it was. We look forward to seeing you at services." "Reverend Doug was amazing! He was so professional and made our wedding day so special! Our guests could not stop talking about how wonderful our ceremony was and how personal he made our vows. We met with him a few times and he really got to know us as a couple. It showed in our ceremony that he truly understand our love for one another. I would definitely recommend Reverend Doug!" "Rev Doug was awesome. He totally tapped into who me and my wife are in our first meeting, which was 20 minutes. He was very outgoing and receptive to what we wanted and who we are. We had so many compliments on our wedding service. So many people said it was the best wedding the had been to. And that had everything to do with Rev Doug. Since the wedding we have been attending service at his church. We feel so comfortable and at home. And that was a hard thing for me. I grew up going to a Catholic grade school and ever since I have been skeptical of organized religion. But Rev Doug has reinvigorated my connection with God. Since he performed our wedding I feel closer to God or spirit than I have in my life. Nobody but Rev Doug could have done that." "Thank you for doing an amazing job at our ceremony. Thank you for calling me before the ceremony because it was pouring down rain to reassure me that we would be fine. Even though we all squeezed under the Gazebo you made it awesome for all of us just an amazing beautiful ceremony." "Rev Doug was INCREDIBLE! People are still talking about how amazing my ceremony was. It was powerful! We are so happy we chose him! Now we are planning a baptism/blessing for our daughter. 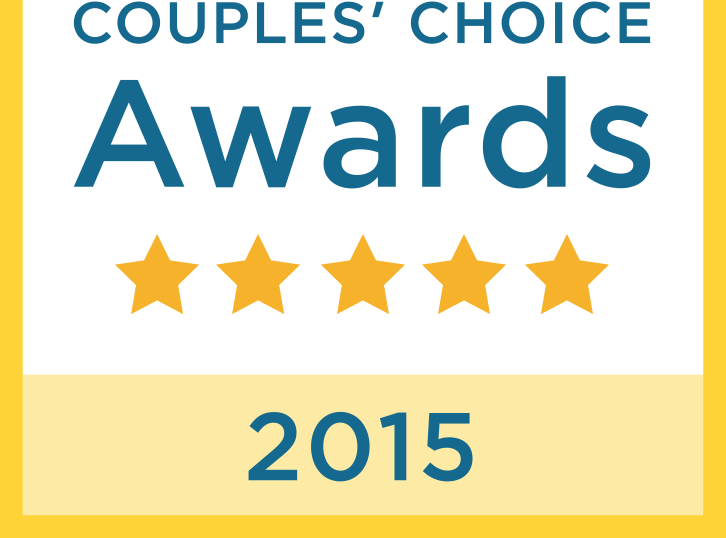 Could not ask for better staff to work with either, they made it all easy!" 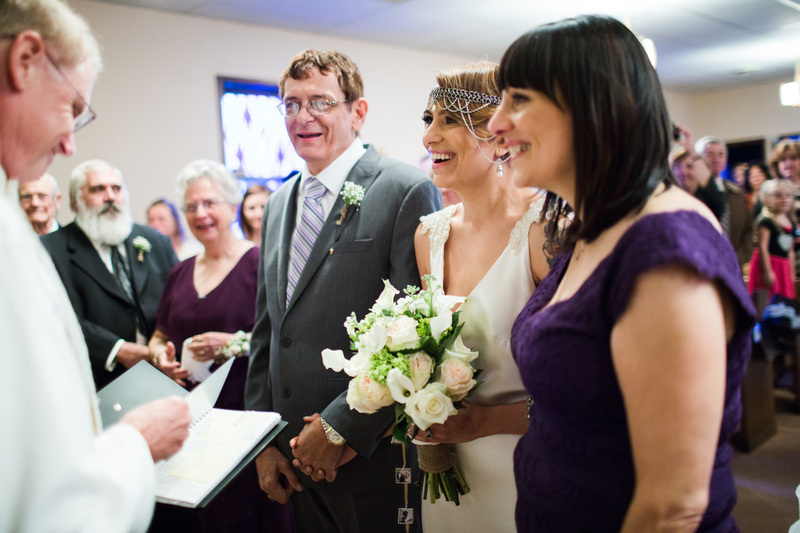 "Rev Doug was all we could have asked for in an officiant. We are a non-religious couple, but Rev Doug was easily able to accommodate our preferences for a short secular ceremony. I'm especially glad that we completed our ceremony planning session as it was a great chance for him to get to know us and really personalize our ceremony. 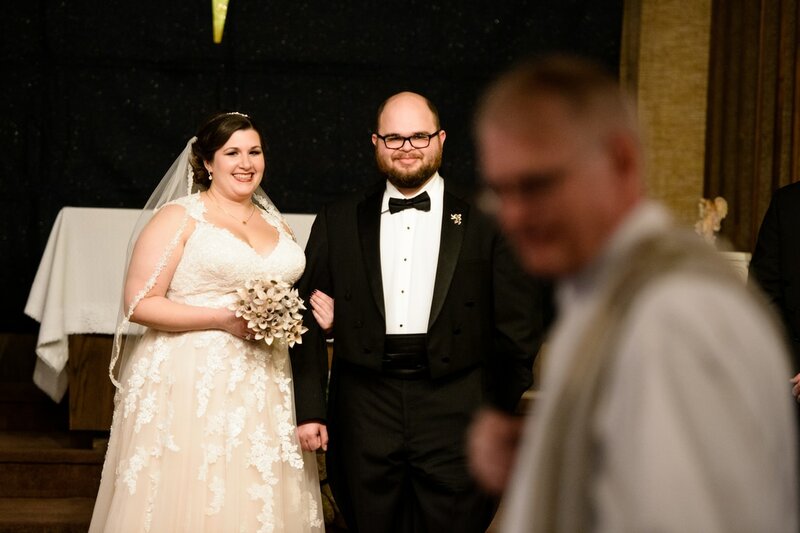 He was incredibly flexible about last minute changes and a delay to the start of our ceremony and his conversational style kept our guests engaged, emotional, and laughing throughout." "Everything I have to say about Rev Doug is 100% positive. Our ceremony started outside and was transferred inside because as soon as I walked down the aisle with my dad it started to down pour rain. He made the transition smooth for everyone. He incorporated the rain into our ceremony, included our story, was funny, fun, and uplifting. Honestly, the ceremony was my favorite part of our wedding because of Rev. Doug. If you are looking for an officiant I would 100% recommend him. We are STILL getting compliments on the ceremony and how wonderful it was. He incorporates your story and makes the ceremony so personalized. The best decision my husband and I ever made for our special day!" "Rev Doug was awesome....not the traditional style....spoke real and includes the whole group...made the outdoor wedding something we'll never forget." "Rev. Doug was the best! We loved our ceremony and all of our friends/family were raving about how wonderful our ceremony was because of Rev. Doug! We could not have picked anyone better. I would highly recommend him to anyone looking for a wedding officiant!" "Such an amazing ceremony!! Absolutely perfect. He was so helpful throughout the whole process, removed tons of stress from us for the big day!! He made the day even more perfect by his kind and thoughtful words. Had tons of compliments on the ceremony." "Doug and his team were amazing! They were incredibly easy to work with and he made us feel comfortable while balancing a family that is, on one side extremely religious, while on the other not at all religious. He made the ceremony about us and we received many compliments on his professionalism and happiness at marrying us. I am very glad that we chose him and would certainly recommend him." 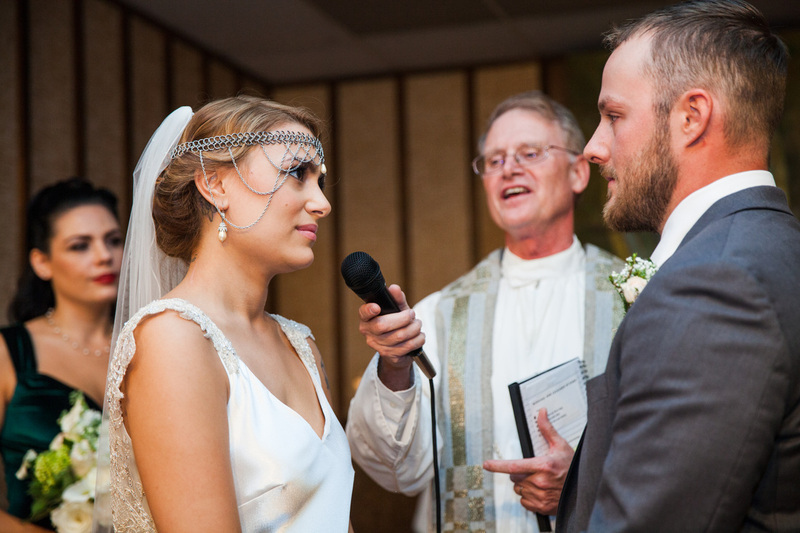 "Reverend Doug Klukken provided us the best wedding ceremony we could've hoped for. I have a very Catholic family, and my spouse's family is not particularly religious. Doug put together a beautiful outdoor ceremony that was respectful of both of our family's backgrounds. All the guests had nothing but wonderful things to say about the ceremony. He met with us beforehand and personalized our ceremony with us. When he was officiating, he talked about us and to our guests like we were all friends. He was available at any time the days leading up to the ceremony if we had any concerns or changes to make. He was prompt, professional, and highly personable. We are so happy that we chose him to officiate our wedding. It was just perfect." "We highly recommend Rev. Doug Klukken. Everyone at his office was very nice and helpful. His planning meeting was great. My son who was with us still talks about him. We had a great experience. Our wedding ceremony was very personalized just for us. He had everyone laughing, smiling and crying. All our guests commented on how great he was and how perfect it all was. Your way wedding day is just what it says. It's all about you and your day and exactly how you want it. And if you don't know how you want it they have all kinds of ideas from experience to help you decide through every detail. We can't recommend him enough. Our wedding was perfect!" "I found our initial interview was both friendly and extremely informative. Both the staff and the reverend were very personable, listened and made us feel like it was all about us." "Thank you so much, Reverend Doug!! The ceremony was absolutely perfect!!" "Rev Doug was great! I can't tell you how many of our guests stopped us after the ceremony and told us it was the best wedding they'd ever been to. Rev Doug was so personable and made my groom and I feel at ease. He was able to add personal details about our lives to make the ceremony that much more special. I would recommend Rev Doug to anyone in the Indiana area :)"
"Rev. Doug made us feel so comfortable and assisted us so much in planning our ceremony. I couldn't have been happier with the service provided. He was perfect. Highly recommend!!!!" We cannot express the happiness you have brought us. Thank you for officiating our wedding. You helped us create a beautiful ceremony that we will always remember. All of our guests were making comments about how great you were too. We sincerely thank you for celebrating our joy and for being a part of our special day." "Wonderful staff to work with. Doug is amazing. My family and friends had nothing but wonderful things to say about Doug. He made our ceremony personal and about us. After meeting Doug I felt like I had known him for years! One of the best choices I made for my wedding"
"Rev. Doug did our ceremony at Wicker Park. Not only was the audience impressed we were amazed at how well he knew us just from doing our child's baptism 2 years ago! I would recommend him to anyone and everyone! Nice reliable understanding and open to all people! Thanks Doug!" Merry Christmas to you! We hope you've had a wonderful holiday season. We wanted to thank you again for making the trip down to Indy and for making our wedding ceremony so special. Please accept this church donation as our thank you. Sincerely,"
"Rev. Doug's lovely wife Rev. Diana married us at Wicker Park in Highland, IN. She was wonderful. Rev. Doug Klukken also married my brother, the two of them are wonderful people, I highly suggest using them for your upcoming nuptials." Did we already perform your ceremony?